This show was 1st in the global ambient chart, 1st in the global chill chart, 1st in the global chillout chart and 1st in the global chill out chart. 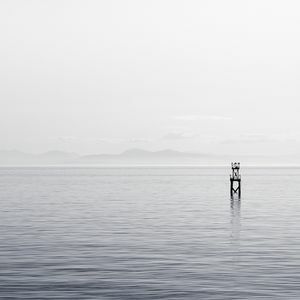 I&apos;ve done many "sea" mixes over the years and I keep coming back to them because ambient music perfectly captures the impression of an undulating a sea or ocean. Thanks so very much for your support. It really makes me happy to see folks discover new music and new artists through these mixes. I&apos;m listening to Floating Pt. 3 right now - I love it! I think it will be on all day. I love the fact that it&apos;s nearly 3 hours in length. Cheers! That break-in on Through the Narrow Strait. Like an ASMR tingle. Thanks so much for your very kind comment and thanks for listening! Cheers! Beautiful. :D Truly tranquil. Thank you. perfect mix Jez… has given me much enjoyment over the years! Haha! I know what you mean, that has happened to me a few times as well. Thanks for listening though! Cheers!